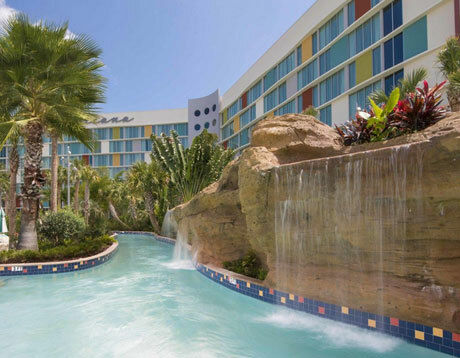 Organising a March 2021 Florida holiday and looking for a great price? We have excellent advance rates on flights, fly-drives and holidays. Contact us on 01934 319 851 or complete our online enquiry form for more information. 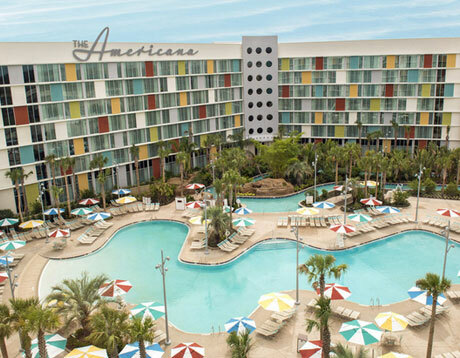 This March 2021 Orlando holiday includes direct flights, car hire and two weeks at Universal’s Cabana Bay Beach Resort. The price is based on a group of 3 adults and 3 children. If you have different requirements, get in touch – we can put together the ideal holiday package to suit you. The airlines’ winter season runs to the middle of March. Prices creep up towards the end of the month as the Easter holiday approaches. Fly in the first fortnight of March for the best rates. 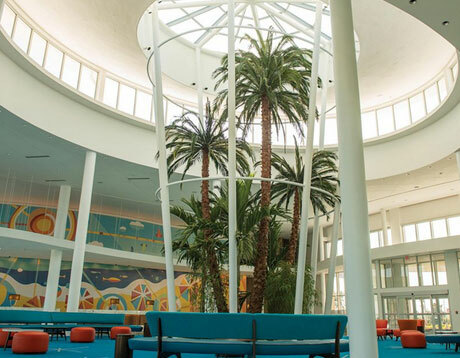 Read our March 2021 Florida flights page for some useful tips. This March 2021 Florida holiday includes flights with Virgin Atlantic. Depart Manchester or Gatwick and fly direct to Orlando International. The flight takes around 9 hours; an early morning departure will arrive around midday. If you have different requirements, let us know. We book with all the major airlines including BA, United and Norwegian. We also book connecting flights from smaller UK airports if required. This March 2021 Florida holiday includes a fully-insured 7-seat minivan. If you have a preference on vehicle type, let us know. 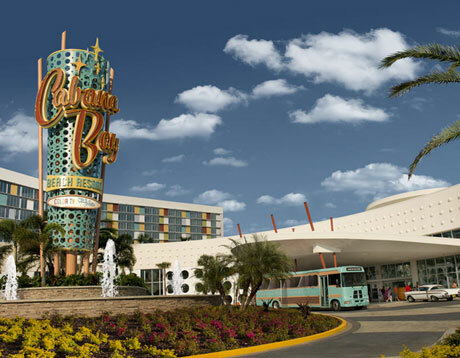 With its quirky retro 50s theme, the Cabana Bay Beach Resort is a popular choice for families. 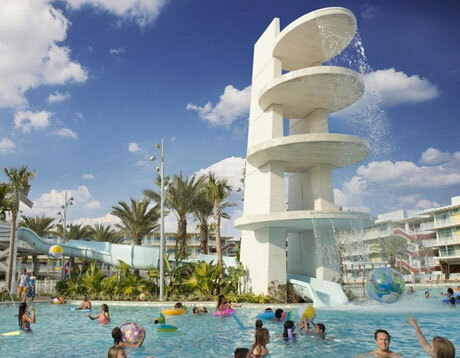 Kids will love the bowling alley, swimming pools and water slide. Both Universal theme parks are within walking distance (though free shuttle buses are available if you prefer). 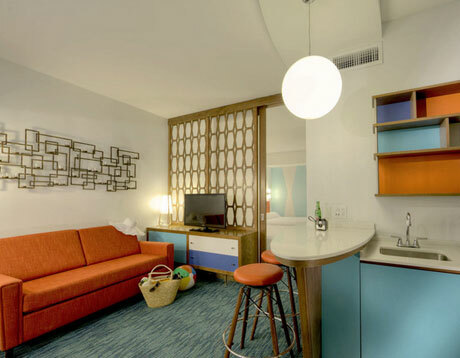 For more information on the Cabana Bay Beach Resort, watch Universal’s trailer, visit Universal’s website or read the reviews on TripAdvisor. With around 9 hours of sunshine every day and low rainfall, Orlando is quite the departure from the UK winter! Expect afternoon temperatures of around 24C/75F – ideal for relaxing by the pool or wandering around the attractions. 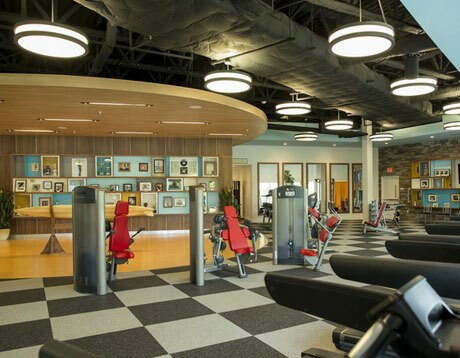 Orlando is known as the theme park capital of the world, but there’s so much more to see and do. Head west along Interstate 4 to the Gulf Coast. Beautiful white sands, turquoise waters and exotic wildlife provide a welcome break from the bustling attractions. The drive east leads to Daytona and the Kennedy Space Center – well worth a visit. 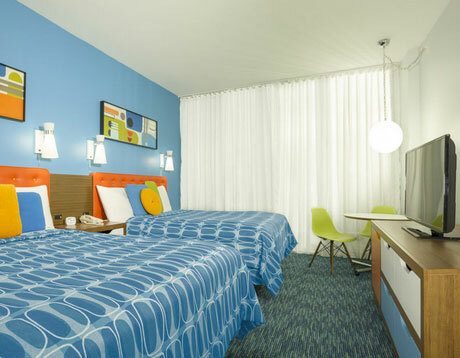 Book this March 2021 Orlando holiday today with a deposit of £100 per person. Balances are due 90 days before departure. The holiday includes flights, accommodation and car hire. If you’re looking for something different, complete our enquiry form for a quote by email. Better yet, call Alex on 01934 319 851 for an instant price. All our March 2021 Florida holidays are ABTA and ATOL protected.